I'm new to collecting Antique Paper Dolls and I've narrowed my focus to articulated dolls by L&B (Littauer & Boysen) and Dennison. My main point of interest are the beautiful Actress and Royalty dolls from the late 1800's that I've talked about in previous posts but recently I've been looking into some jointed dolls that are of young girls like those listed below. 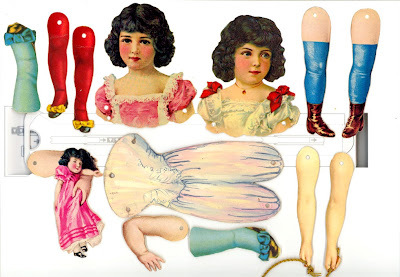 Many L&B (Littauer & Boysen) doll parts were specifically made for the Dennison Company to be used with their special line of tissue/crepe paper so you could "dress" your finished doll. 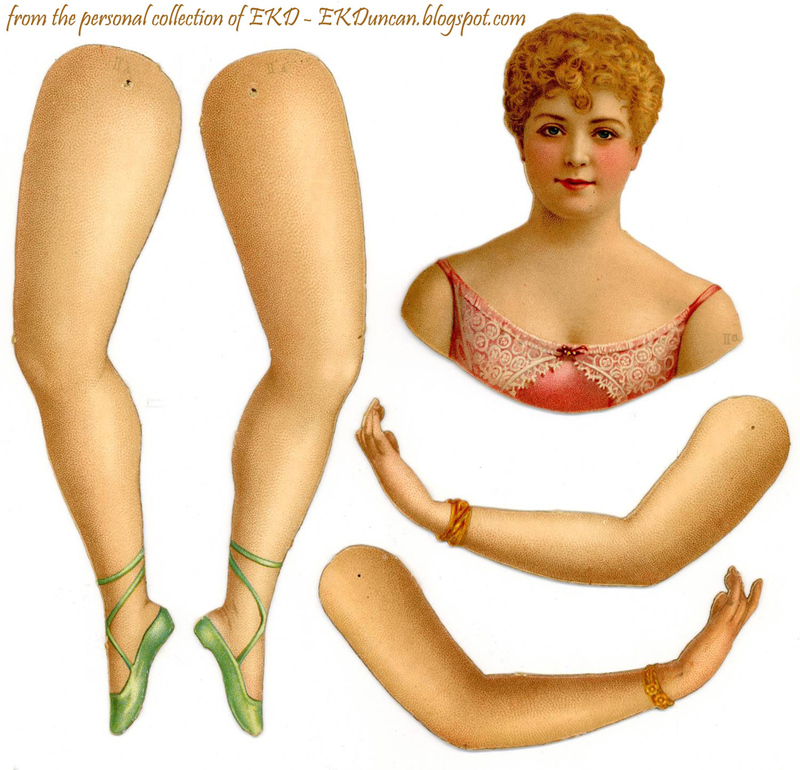 These doll parts could be purchased individually, as sets, in boxed kits and in enveloped kits. 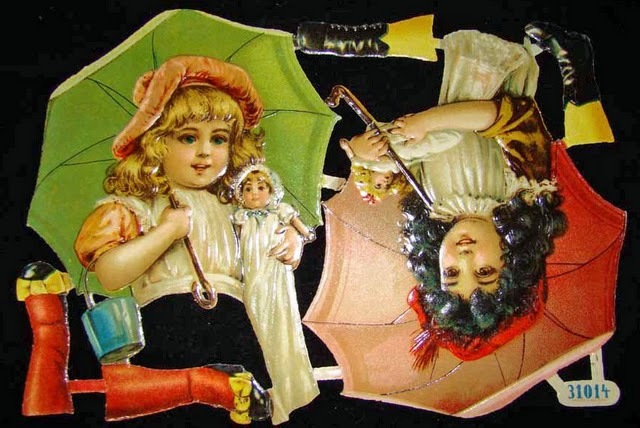 There were a variety of combinations in which you could purchase the dolls or parts of the dolls and some came in multiple size choices. These are in Dennison's 1913 catalog. 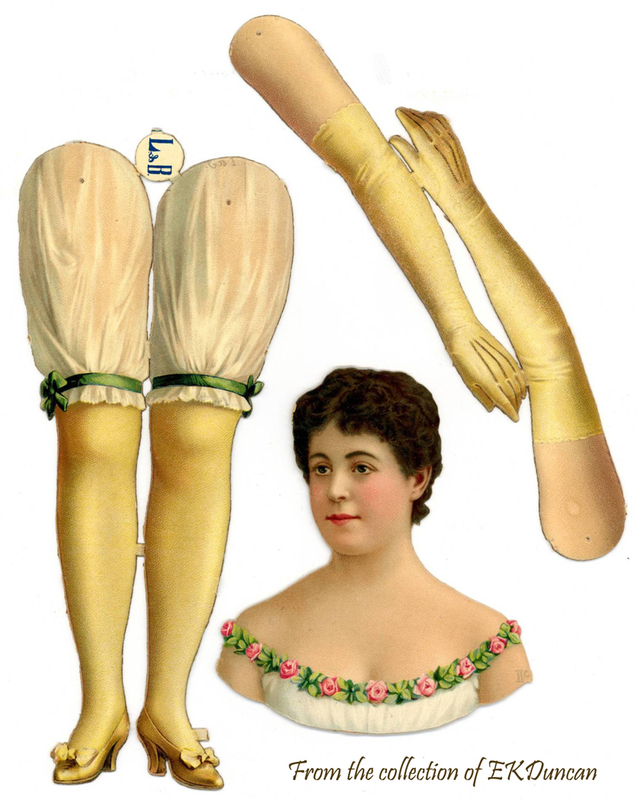 The Doll Outfit No. 31 boxed set - has 2 of the above dolls in it. I've been lucky enough to get some nice quality scans of these dolls that I can use to create funky artwork; however, I thought I would try and add the authentic originals to my vintage paper doll collection as well. 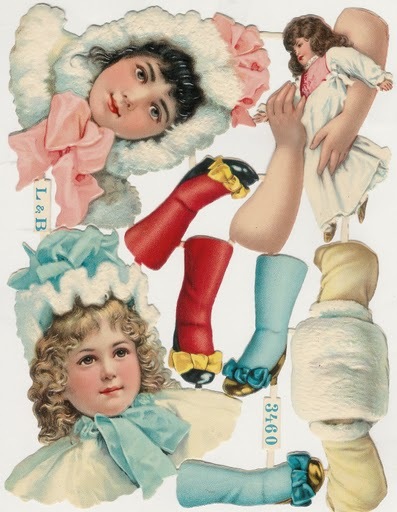 Unfortunately, I have not been able to find much reference material on the types of dolls I'm trying to collect so this experience is one big learning curve. 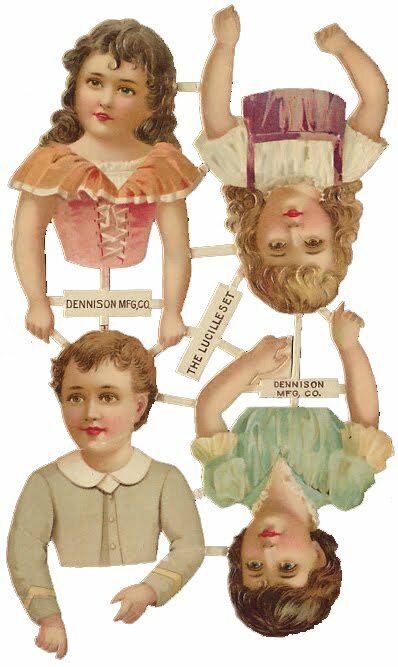 I do know that L&B created a whole series of articulated doll parts for the Dennison Company that was located in Boston in late 1880's and 1890's. 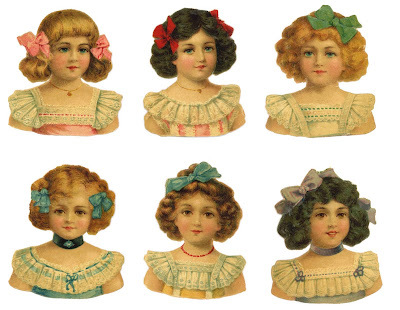 Many of the dolls I wish to have in my collection appeared in Dennison Art & Decoration Catalogs from 1895 - 1907. 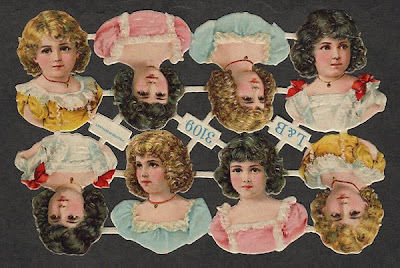 So far I've discovered that this particular set of doll heads was made in at least 2 sizes and that some of the dolls are a high quality lithography embossed cardboard but not all are. These were also made as embossed paper scraps, which are a much thinner paper not suitable for making a jointed paper doll. 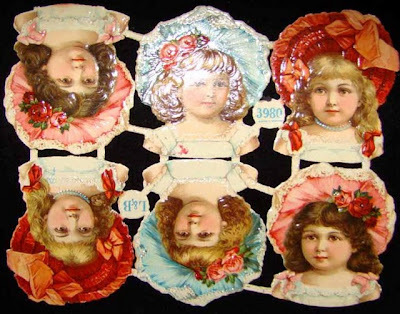 I know this because I recently won an eBay auction for these doll heads. 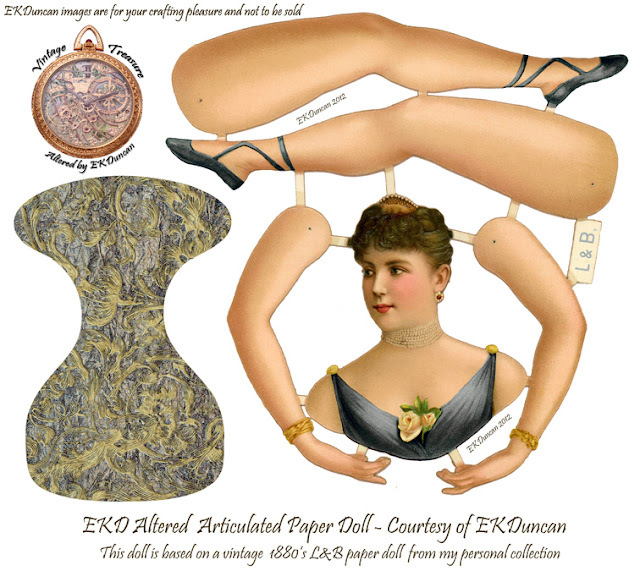 Now I know that some of the articulated doll parts were also created as paper scraps and are not the heavy lithography pieces used to create the jointed paper dolls I'm adding to my collection. 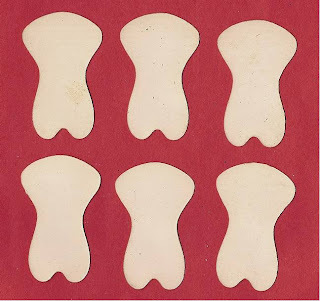 Luckily this was a fairly inexpensive mistake and a great teaching tool, since I never would have thought these same doll parts could be made out different thicknesses of material. These are the Paper Scrap Doll heads I recently purchased. They are the embossed paper but about the thickness of newsprint. 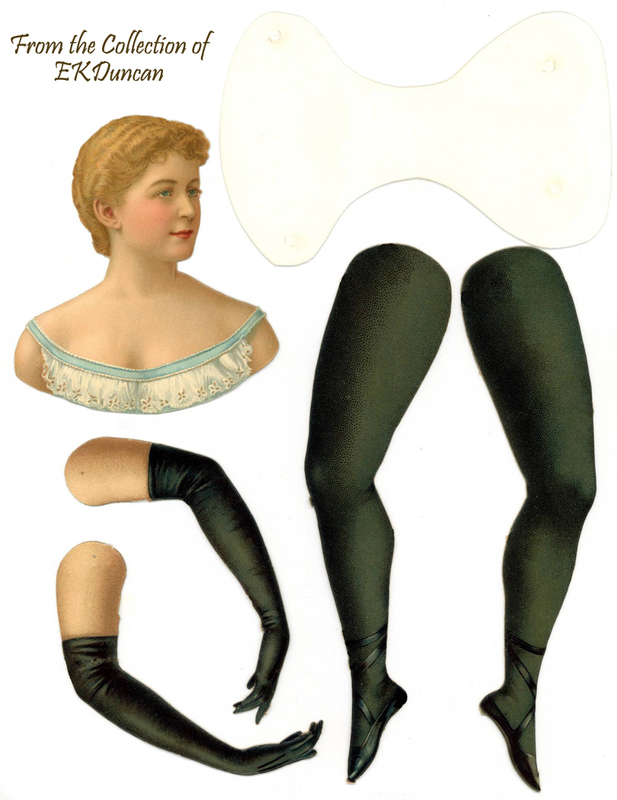 (After taking a close look at the paper scrap doll heads I purchased and the images I have of the thicker doll parts; I can see that the actual doll parts have a pinpoint marker where the hole and brad/eyelet should go to assemble the paper doll and my paper scraps don't have this registry marker on them.) This is the quick and easy way to tell if you are purchasing them from a photo. 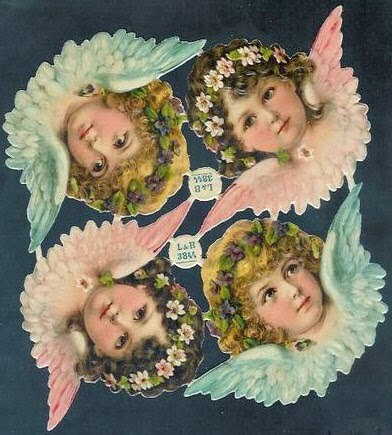 L&B (Littauer & Boysen) founded in Berlin 1887 - was one of Berlin's largest deluxe paper manufacturing operations with a wide variety of chromolithography and embossed stamped articles. 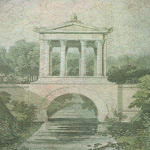 They sold part of their operation to Z&M (Zoecke & Mittmeyer) and another part to MLP (Mamelok Press Limited) in 1920. This comes a little late..just happened across your site. Amazing. 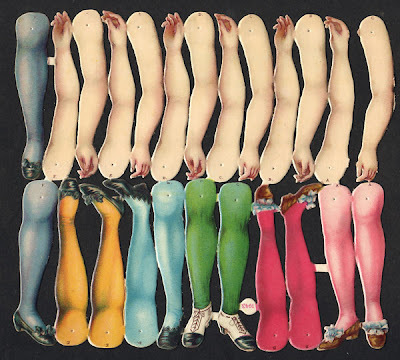 I had some of the original paper dolls back in the 70's and dressed them as hanky dolls and sold them...wish I had those today now. But thrilled to find you. Will keep coming back now. Blessings! Hey PJ - I'm so glad you got a thrill out of seeing these and what a great idea to make hanky dolls from them. The original dolls are getting harder and harder to collect but then again many of them are over 100 years old and sad to say were probably thrown away years ago. 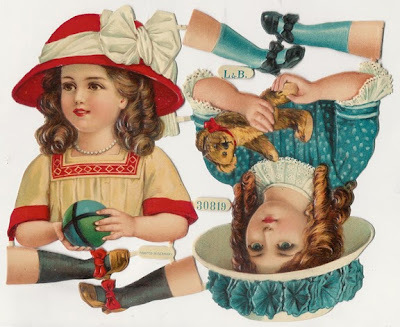 L&B #30725 is Struwwelpeter, not a little girl. Thanks for the update mausi2000. 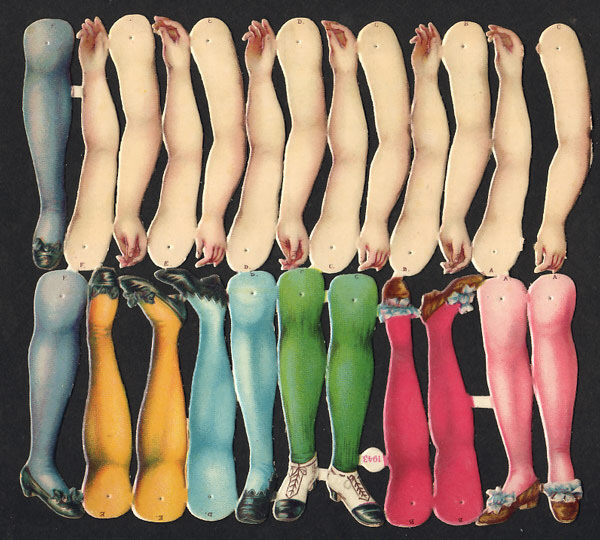 I've learned something new and changed my headers to just read Doll Parts since #30725 is actually of the boy "Shaggy Peter" aka Struwwelpeter from the German story book of the same name about a boy who does not groom himself and is unpopular. 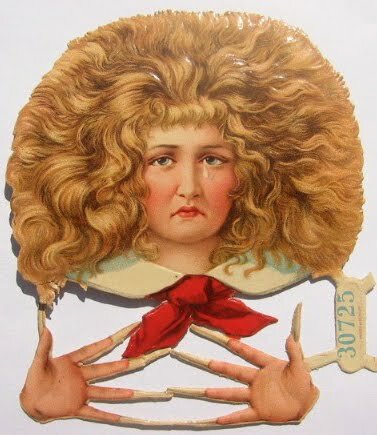 Well that sure explains the crazy hair and fingernails on that L&B doll image. 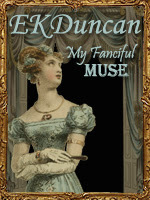 Thanks Edzellinni - I think they are pretty special too. 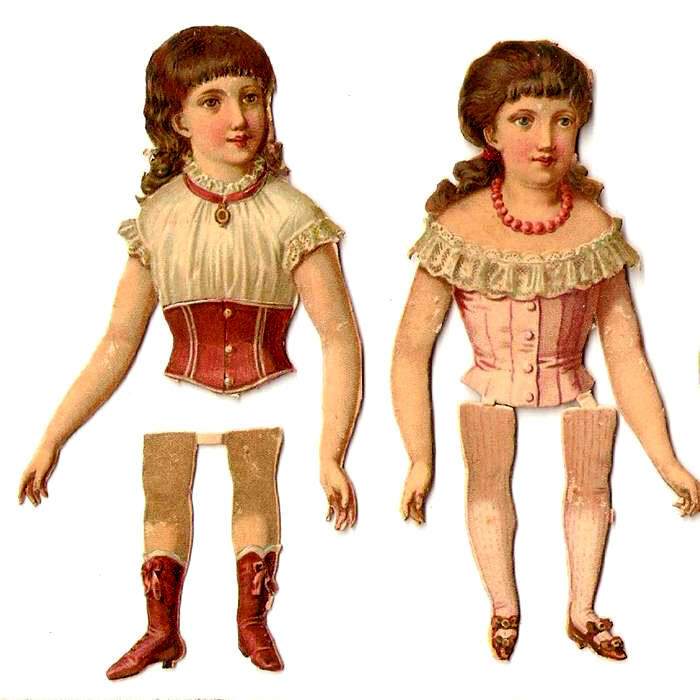 I am having a very difficult time finding images of male paper dolls from the Edwardian era. This is for a costume project. Do you have any advice? 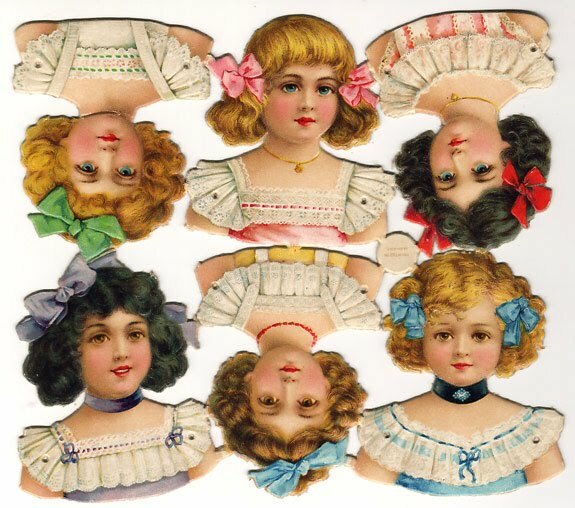 Hi MBB - Personally I'm into the pretty ladies so I don't have any male paper dolls from the Edwardian Period in my personal collection. 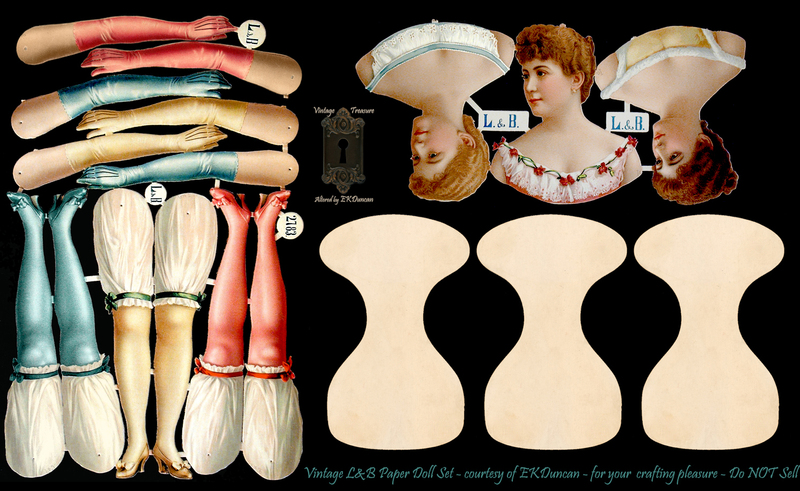 I have run across late Victorian and Edwardian Era Male paper dolls from time to time on eBay and various Google searches over the years. Usually the males are either European Royalty, in military uniform or part of a "family" type series like the Lettie Lane or Polly's Playmates paper doll series - or at leats that's what I've run across. Here are a few links showing some on the internet that you might find useful. 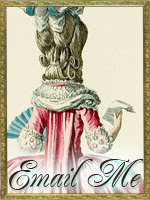 I hope some of these links might point you in a new direction to look. I just one of the faces as a printout on a doll. It turned out really great.. Now if I can just find the "back" of the doll head with all the hair. 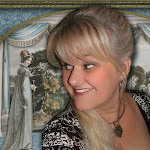 Hey Cindy - Thanks for letting me know you like the post. Just wanted you to know that these dolls were "front" only. 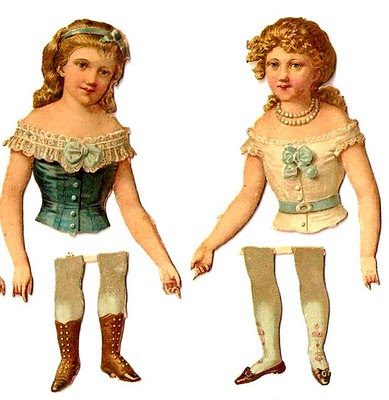 There were a few paper doll makers during this time that did front and back dolls but these particular images were "front" only.